This week’s post is a guest post from Rachel Brenke. Running a business is serious..business. It is super exciting to get a new prop, lens or spend money on education but there are a few areas that small business owners sometimes overlook. Safeguarding your business through insurance policies is a major one. You may as well be playing the lottery with your livelihood, clients and self confidence when not carrying the proper insurance policies. 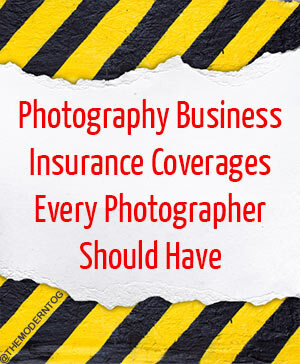 For photography business owners equipment and liability insurance are the most critical insurance policies to secure protection. Even though you may be set up as a limited liability company (LLC) or a corporation, there is no limit to the need for business insurance. In fact, state laws may require that your business transactions be covered by a certain form of insurance. When shooting in a variety of venues, proof of insurance may be required. Besides potential legal requirements, having insurance minimizes the risks that are associated with potential liabilities, losses and unfortunate events. This will cover all equipment related to a loss or damage due to a variety of events. The type of equipment, coverage and loss causes will be defined through specific coverage policies. At a minimum, photographers need equipment insurance to cover the following equipment; camera, lenses, computers, business interruption, etc. Equipment insurance should also cover the basic losses due to severe weather, damage through dropping, and theft. It is especially important to not assume that your homeowner or renter insurance covers business equipment as many policies exempt equipment used for income purpose. This insurance acts to cover the photographer for auto accidens in case the personal automobile insurance does not cover commercial activities. It provides financial protection against potential bodily injury and physical damage to the vehicle that results from automobile accidents. Some jurisdictions require this insurance to be held under specific circumstances so always check your local laws. The insurance should be on the “to get” list as quick as possible for photographers that depend upon photography as their sole income. This insurance is a form that insures the photographer’s earned income against the risk of disability (sickness, etc.) that prevents them to fulfill their work capacity. As a small business owner, planning to weather bad storms that may come your way is worth the investment and time especially when it could potentially cut off all income. If you own or rent a studio, insurance to protect against damage to the building and items within are crucial. It is also important that a photographer consider selecting a policy that includes business loss of earning insurance to protect earnings in the even that the shooting location is damaged or destroyed. Note: Some property insurance policies include all equipment within the property and others do not. Always read your policy. Insurance is just one of way to safeguard your business. Other ways include selecting a business structure that limits liability and using proper legal contracts in every business transaction. There are a variety of business structures to choose from, including sole proprietor, limited liability company (LLC), and corporation. Choosing these depends on type of business, initial investment cost, personal choice of liability, and tax liability. Corporations and limited liability companies come with another level of liability protection through their formation but not completely shield the owners from potential liability and all related consequences. To safeguard even further it is important to have photography contracts (affiliate link) that are drafted properly under contract laws and for the photography industry. As always, look to someone that is versed and knowledgeable of your industry. Flying blind is no good. If there is any investment to make, it is in your financial and business security before that next new lens or prop. Note from Jamie: If you want to learn more about other legal things you need to consider when starting a photography business, check out Rachel’s blog called The Law Tog! It should be required reading for all photographers! 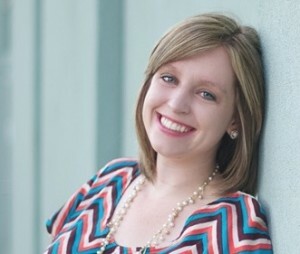 Rachel Brenke is a photographer, lawyer, business consultant and social media marketing strategist based out of El Paso, Texas. She has helped over a thousand photographers start up, market and maintain their businesses through online eWorkshops, 1:1 consulting and the free resources on her blog The Law Tog. She has been nationally published in magazines such as Senior Style Guide, Chic Critique, and Lemonade and Lenses.